“ They have broken Marx and Lenin for fine pieces, not to mention us ”, Mao sadly spoke about revisionists spreading under the Soviet aegis all over the world. The enemies of revolutionary knowledge, enemies of the people and the proletariat are not always able to ignore or to forge geniuses; they look as no more than unlucky midgets near to them. So they launch their miserable attempts to shatter the classics’ heritage, to select the most harmless for their reactionary mock-theories pieces from it and to consecrate their own poverty by the shine of bits broken off from them. What is the Maoism? This ideological current was exposed to the mad defamation in the Soviet Union, it was forged in every way and served up to masses in the monstrously mutilated and hashed shape. The present left movement in Russia still suffers a heavy burden of Brezhnev-Suslov black propagation, slander and fabrications. “ There is no need to read many books ” – these Mao’s words every remembers. Enemies repeat them with venomous gloating, phony-friends add them to their arsenal and swing them as a banner, don’t applying their forces to penetrate into the sense of them. A rare person recalls that the reform of the education which was chained with old and partly still feudal frameworks of the formalism and the dogmatism, was absolutely necessary for Chine rising on the way of industrialization and construction of socialism. This is a root of a myth about Mao’s “anti-intellectual attitude”. “ It is necessary to read just more Marxist literature ” – Mao indeed constantly emphasized. However it is much easier to not read of the Marxist and new, Maoist literature and to not continue Mao’s cause but to call for petty-bourgeois riot or indulgently pat Chinese Marxists on the head for the justified struggle against Khrushchov’s distortions. Only the foulest jackals of the modern Russian revisionism do not fit the parts of the Maoist clothes at least. “ Every scum gets out on its own ”. Someone will pull Red Guard’s arm-band, another person will get Maoist jacket or cap like one what Mao presented to Che Guevara. In other words, someone pulls out for private interests Great Polemic of 1950’ies and 1960’ies, which was only diligent implementation of Marxism by the Chinese’s, but gives up further analysis of decay of the Soviet regime, which was logically follow from the Polemic. Someone takes rebellious spirit, which becomes simply petty-bourgeois leftism without the genuine Mao’s ideas, regardless of number of “Mao’s ideas’ banners” rising during this. Someone takes the anti-bureaucratic orientation, limiting and adapting it to the needs. Somehow or other, bits broken of the most advanced and consecutive ideology lose their value. These bits aren’t Maoist and their carriers speculate in the Mao’s ideas at the best and frequently directly go against this ideas. Maoism is the integral theory and practice of communist struggle, the third, the most modern step of Marxism-Leninism’s development. This is an iron, indisputable fact. Under the banner of Maoism proletariat and oppressed masses all over the world will go forward sweeping away all wretched imitators and slanders. This inevitable victory will certainly not be a silly scuffle and torture as latent (and not such latent) sad-masochists like to imagine the Cultural Revolution. They like to picture persecutions of bureaucrats by Red Guards, their throwing out through windows onto the street and their smashing by legs. They like to picture hanging of a quite innocent animal, the cat of the British ambassador etc. Such propagandists fondly hope to win verdant youth in such way and following this distribute the false and distorted understanding of Maoism. It’s well-known that the punishments of the opponents during the Great Proletarian Cultural Revolution basically were the manifestation of the forces which was hostile to the Revolution. They directly contradicted the numerous instructions of Mao and the Communist party of China headed by him. Mao and his supporters inspired all the time that nobody should be executed not only for dissent but also even for open anticommunist speechs. Let speak – it was one of the slogans of Maoism. And there was given permissions to speak even to such worst enemies of revolution as the Soviet revisionists – their scribble was openly published by the Chinese publishers. At the same time Khrushchevist-Brezhnevists cowardly hid from the people not merely arguments of the Chinese but frequently the fact of polemic itself. Eventually they sunk into blocking of the Maoist books in the closed funds (which have just now became accessible for us) and launching the furious attack against China with mendacious accusing it for a nationalism and state-boundary aggression. In the Peoples China there was a custom to discuss in a democratic way all disagreements among the people. It was recommended to handle sometimes even to the contradictions between the people and his enemies as to the contradictions within the people. In Beijing there was famous “Dazibaos’ wall”, on which everyone could put his leaflet up with a statement of his opinion. When enemies of the revolution came to power they severely prosecuted all successors of Mao’s ideas (first of all “the gang of four” – Jiang Qing, Wang Hongwen, Zhang Chunqiao and Yao Wenyuan, but also thousand honor communists all over China) and demolished this wall. The revisionists always well know what people thinks and what people wants, they consider the freedom of speech as an extreme heresy which must only be fight against with the KGB and other state structures while “entitled” official organizations drive the people forward as a dumb and thoughtless herd. Any activity of the masses on their own is considered as counter-revolutionary and subject to suppression. Such approach is deeply hostile to Maoism. 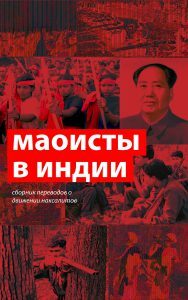 Everyone need to read the Maoist literature to understand Maoism. It isn’t enough to read four-volume edition published in the Soviet Union and even more complete Chinese edition in Russian language (which, by the way, isn’t easy to search out). Especially it isn’t enough to read “the small red book” made by Lin Byao in the concrete period for quite concrete “target group”. Our Russian reader can admire with the style but (s)he basically do not able to estimate the instructions to the Chinese soldiers incorporated in “the small red book”. And it is absolutely clear that it is impossible to acquire Mao’s ideas on the basis of the scrappy quotations. 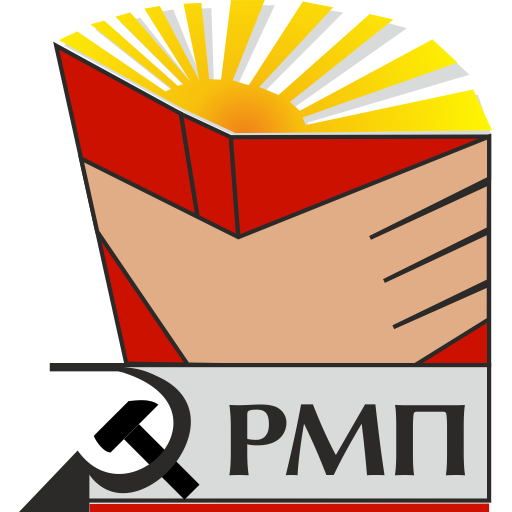 “ It is necessary to read just more Marxist literature ”. It is necessary to read it completely, diligently pondering into the historical context in which these diamonds of the revolutionary idea were created. Only a few succeed in attempts to intuitively recreate Maoism for him/herself not addressing to its products of the period of the Great polemic and especially the Cultural revolution. The Maoism’s greatest treasures are latent in these, late texts which low Brezhnevist ideologists-in-their-official-capacity have concealed from us. It would be not bad to get acquainted also with the modern Maoist literature – our movement naturally continues to derivate a plenty of the talented researchers and publicists. The communists of all world armed not with the banners stolen at the revolutionaries of the past and only covering a present revisionism, but with the genuine ideas of Mao Zedong will achieve the final victory above an imperialism, capitalism and patriarchy!